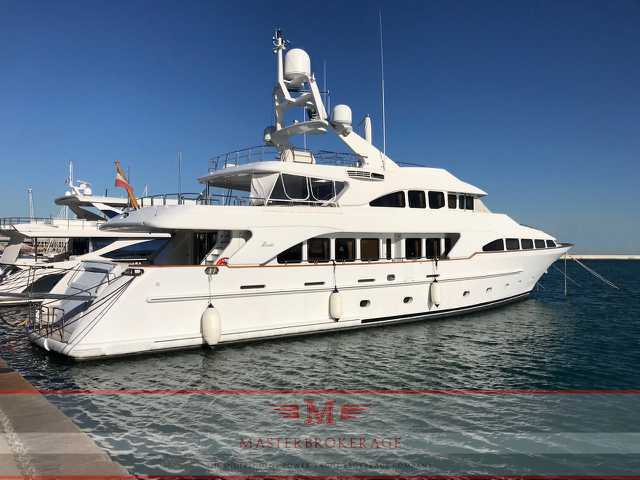 The 114.67ft Classic 115' motor yacht was built by Benetti in Italy at their Fano shipyard , she was delivered to her owner in 2002. The yacht's interior has been designed by Zuretti. The interior configuration has been designed to comfortably accommodate up to 10 guests overnight in 5 cabins. She is also capable of carrying up to 6 crew onboard to ensure a relaxed luxury yacht experience.